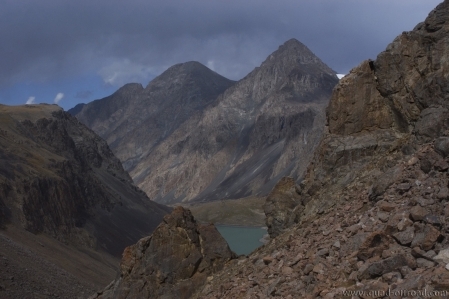 The Juuku Ashuu Pass has a lot of facets of the landscape. From Darkhan you get into a very wide valley which narrows ever further. In this valley, the majority of the crops are farmed. Then comes a very beautiful woodland landscape with different conifers (spruce, fir, pine, etc.). 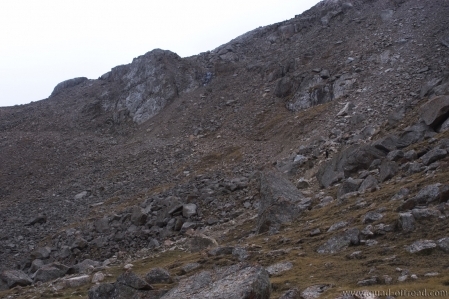 The closer you get to the pass, the more the landscape changes to a rocky and rugged landscape. 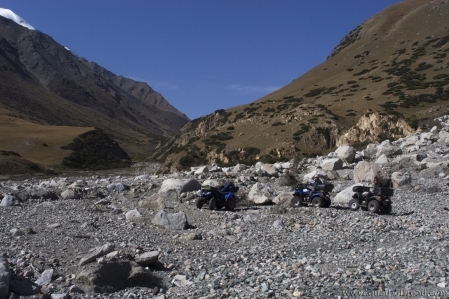 About 2 km from the pass is a beautiful valley with huge boulders and two small mountain lakes. The first of the two lakes is with crystal clear spring water and a wonderful shore landscape. The Second Lake is very cloudy with glacier water and a very jagged rock landscape. The Juuku Ashuu pass is open only from June to September. From Darkhan to about 3 km before the pass is a normal gravel road with the usual pot holes. But then the road becomes almost impassable for a jeep. 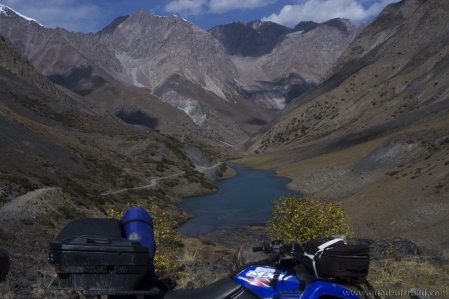 Up to the pass it is only with Quad, ATV, light Enduro or Motocross motorbikes to drive.